Most Floridians enjoy the right to keep and bear arms as enshrined in the Second Amendment to the United States Constitution, but improperly brandishing a firearm or other weapon can result in criminal charges. A person who is arrested for improper exhibition of dangerous weapons or firearms can face possible imprisonment and fines if convicted for this offense. These types of charges can often be the results of misunderstandings. It may be that people mistakenly assumed they were targets or felt otherwise endangered when an alleged offender had absolutely no criminal intent. Were you recently arrested for improper exhibition of a dangerous weapon or firearm in Northern Florida? 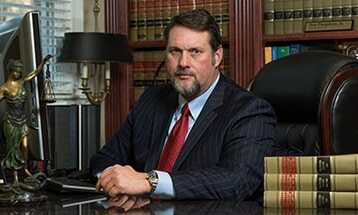 You should contact an experienced criminal defense attorney as soon as possible. Pumphrey Law fights on behalf of clients in the greater Tallahassee area, but we also help people in such nearby communities as Graceville, Mayo, Malone, Live Oak, and Marianna. You can have our firm review your case and help you understand all of your legal options when you call (850) 681-7777 today to arrange a free, confidential consultation. How does a person get charged with this crime? What are the consequences if you are convicted? Does an alleged offender have any possible defenses? Any weapon (including a starter gun) which will, is designed to, or may readily be converted to expel a projectile by the action of an explosive; the frame or receiver of any such weapon; any firearm muffler or firearm silencer; any destructive device; or any machine gun. This term does not include an antique firearm unless the antique firearm is used in the commission of a crime. Any dirk, knife, metallic knuckles, slungshot, billie, tear gas gun, chemical weapon or device, or other deadly weapon except a firearm or a common pocketknife, plastic knife, or blunt-bladed table knife. If you have been arrested for improper exhibition of dangerous weapons or firearms in Tallahassee or another part of Northern Florida, it is imperative that you immediately seek the help of a skilled criminal defense attorney. Pumphrey Law aggressively defends clients against all types of firearms and weapons charges in state courts throughout the Sunshine State. Our firm serves locations throughout Leon County as well as many nearby areas of Madison County, Lafayette County, Suwannee County, Jackson County, and more. Call (850) 681-7777 right now to take advantage of a free consultation that will let us review your case and begin developing a formidable legal defense.